The Carolina Room 2600 is our most popular room and is built and conditioned to be used year round. The 2600 room features the best insulated glass package with 7/8″ insulated tempered and Cardinal LoE3 366 glass with argon gas. LR2600 features all welded vinyl sliding windows with both sashing sliding on heavy duty brass rollers. All windows have full fiberglass screens and sashes can be lifted out for easy cleaning. LR2600 models are available in Cathedral, Studio, and under existing roof styles. Also available in 3 colors: white, beige, or clay. Both sliding and swing doors are also available. The Carolina Room 2600 was awarded one of the 100 Best New Products for 2008 by Professional Builder Magazine. 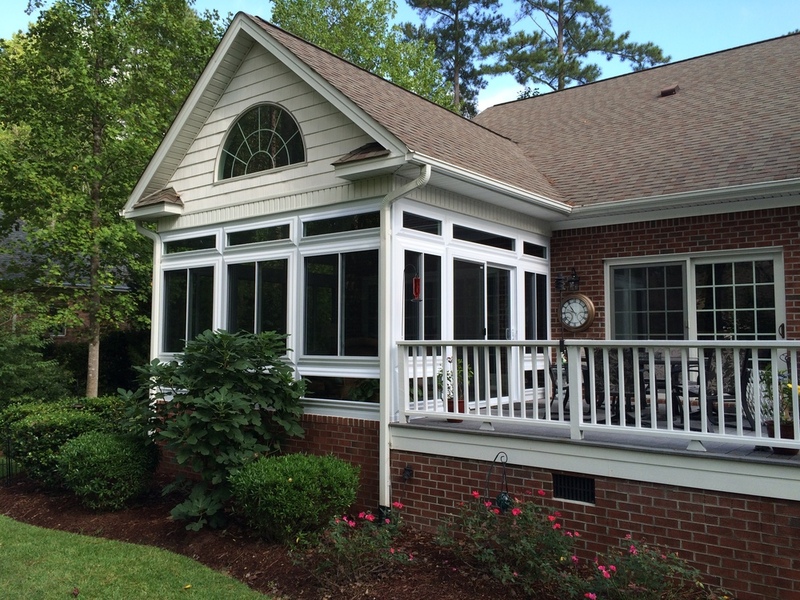 Carolina Room vinyl sunrooms feature solid virgin vinyl (PVC) as the main visible component. Vinyl is clear color throughout, a non-conductor of electricity that will not rot, chip or corrode. Oasis® vinyl glass rooms incorporate fusion welded vinyl windows (sash and mainframe) in the unique vinyl wall system. Aluminum windows are typically fastened together, while Oasis® vinyl windows utilize welded corners eliminating the opportunity for the elements to enter inside the patio room. Vinyl, naturally an insulator, allows homeowners to extend their patio room’s season because vinyl has much less heat loss than other building materials. All Carolina Room series include tempered glass only. Tempered glass is virtually unbreakable and can withstand the hit of a baseball or other objects. If tempered glass ever did break, it becomes harmless shards that are not sharp and can easily be cleaned up. For more information on LoĒ³click here for Cardinal® IG web site. TCA-Guard® is a natural applied mineral substance that is added to ALL of our foam products to protect and prevent wood boring insects (i.e. carpenter ants and termites) from damaging your Carolina Room sunroom. 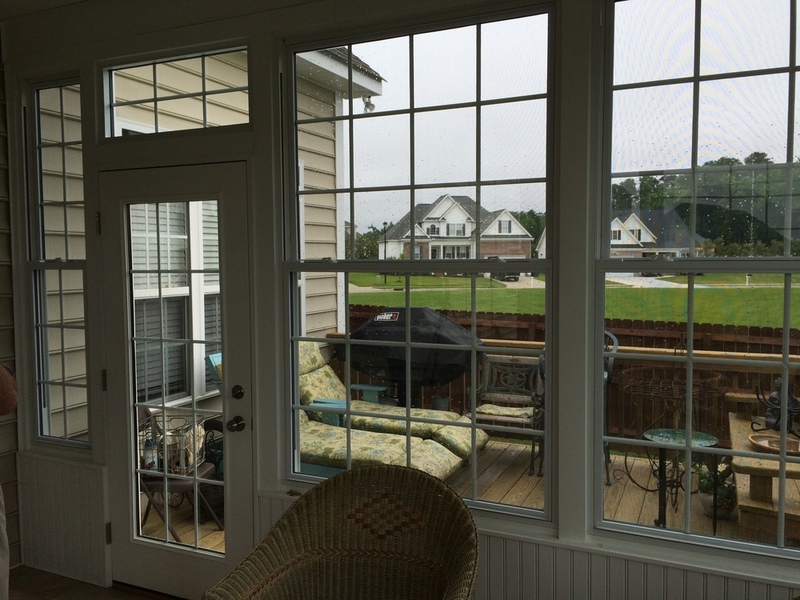 TCA-Guard®is safe, non-toxic, non-corrosive and standard in ALL Carolina Room sunrooms. Carolina Rooms also have the option of an electrical raceway system that is an approved product by UL. This product is UL Classified by Underwriters Laboratories Inc. (UL) to NEC, 2002 edition.UL is not affiliated with Joyce Manufacturing Co. and does not endorse the web site.